Grani A. Hanasusanto is an Assistant Professor of Operations Research and Industrial Engineering at The University of Texas at Austin (UT). Before joining UT, he was a postdoctoral researcher at the College of Management of Technology at École Polytechnique Fédérale de Lausanne. He holds a PhD degree in Operations Research from Imperial College London and an MSc degree in Financial Engineering from the National University of Singapore. His research focuses on the design and analysis of tractable solution schemes for decision-making problems under uncertainty, with applications in operations management, energy systems, machine learning and data analytics. Our paper on “Robust Quadratic Programming with Mixed-Integer Uncertainty” is accepted in INFORMS Journal on Computing. Madhushini Prasad has successfully defended her thesis on “Approximation Schemes for Network, Clustering, and Queueing Models.” Congratulations! Our paper on “Improved Conic Reformulations for K-means Clustering” is accepted in SIAM Journal on Optimization. I am grateful and honored to be the recipient of a NSF CAREER Award. I have been invited as a speaker at the seminal workshop on Distributionally Robust Optimization in Banff, Canada. The workshop aims to advance distributionally robust optimization (DRO) as a dominant modeling paradigm for optimization under uncertainty and to lay the foundations for industry-size applications. The workshop will bring together the world's leading experts in DRO and closely related fields. Our paper on “Conic Programming Reformulations of Two-Stage Distributionally Robust Linear Programs over Wasserstein Balls” is accepted in the premier INFORMS journal Operations Research. Our paper on “Data-Driven Inverse Optimization with Imperfect Information” is accepted in Mathematical Programming. Robust Quadratic Programming with Mixed-Integer Uncertainty, with A. Mittal and C. Gokalp. INFORMS Journal on Computing, 2019. Optimal Residential Battery Storage Operations Using Robust Data-driven Dynamic Programming, with N. Zhang and B. D. Leibowicz. Available online, 2019. On Data-Driven Prescriptive Analytics with Side Information: A Regularized Nadaraya-Watson Approach, with C. P. Ho. Available online, 2019. Improved Decision Rule Approximations for Multi-Stage Robust Optimization via Copositive Programming, with G. Xu. Available online, 2018. Improved Conic Reformulations for K-means Clustering, with M. N. Prasad. SIAM Journal on Optimization, 2018. Finding Minimum Volume Circumscribing Ellipsoids Using Copositive Programming, with A. Mittal. Available Online, 2018. Conic Programming Reformulations of Two-Stage Distributionally Robust Linear Programs over Wasserstein Balls, with D. Kuhn. Operations Research, 2018. Data-Driven Inverse Optimization with Imperfect Information, with P. Mohajerin Esfahani, S. Shafieezadeh-Abadeh and D. Kuhn. Mathematical Programming B, 2017. Ambiguous Joint Chance Constraints under Mean and Dispersion Information, with V. Roitch, D. Kuhn and W. Wiesemann. Operations Research, 2017. K-Adaptability in Two-Stage Distributionally Robust Binary Programming, with D. Kuhn and W. Wiesemann. Operations Research Letters, 2015. A Comment on “Computational Complexity of Stochastic Programming Problems”, with D. Kuhn and W. Wiesemann. Mathematical Programming A, 2015. K-Adaptability in Two-Stage Robust Binary Programming (previous title: Two-Stage Robust Integer Programming), with D. Kuhn and W. Wiesemann. Operations Research, 2015. A Distributionally Robust Perspective on Uncertainty Quantification and Chance Constrained Programming, with V. Roitch, D. Kuhn and W. Wiesemann. Mathematical Programming B, 2015. Distributionally Robust Multi-Item Newsvendor Problems with Multi-Modal Demand Distributions, with D. Kuhn, S. W. Wallace and S. Zymler. Mathematical Programming A, 2014. Risk-averse Shortest Path Problems, with C. Gavriel and D. Kuhn. IEEE Conference on Decision and Control (CDC), 2012. A Chopper Stabilized Pre-amplifier for Biomedical Signal Acquisition, with Y. Zheng. IEEE International Symposium on Integrated Circuits, 2008. A Micropower CMOS Amplifier for Portable Surface EMG Recording, with P. K. Chan, H. B. Tan and V. K. S. Ong. IEEE Asia Pacific Conference on Circuits and Systems, 2006. Decision Making Under Uncertainty: Robust and Data-Driven Approaches. Imperial College London, 2015. Areesh Mittal. Areesh is a PhD student in Operations Research & Industrial Engineering. His current research includes algorithm development for multi-stage decision making under uncertainty. He has worked on approximate inference in graphical models in the past. Prateek Srivastava (jointly supervised with Dr. Purnamrita Sarkar). Prateek is a third year PhD student in Operations Research & Industrial Engineering. His research interests are in convex optimization, machine learning and stochastic optimization. 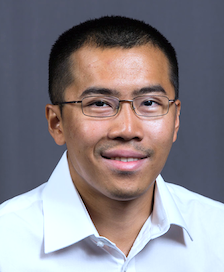 His current research work focuses on developing scalable convex optimization algorithms to solve large scale machine learning problems arising in community detection. In addition, he also works on problems related to sequential decision making under uncertainty. Prior to joining to Dr. Hanasusanto's group, he has also worked on the applications of optimization and game theory in airline scheduling. Prospective students: I am always looking for outstanding and self-motivated graduate students with strong mathematical background and exceptional proficiency in computer programming. Optimization under uncertainty is an exciting research area with plenty of challenges remain to be addressed. If you are interested in working with me, please apply here. Unfortunately, I am currently unable to take on any teaching assistants, interns, and/or visiting scholars. Page generated 2019-04-17 16:33:32 CDT, by jemdoc.